ABS plastic ballpoint pen with soft silicone stylus. Unique mechanical design allows point to extend by simply tipping pen. Tip back to retract. 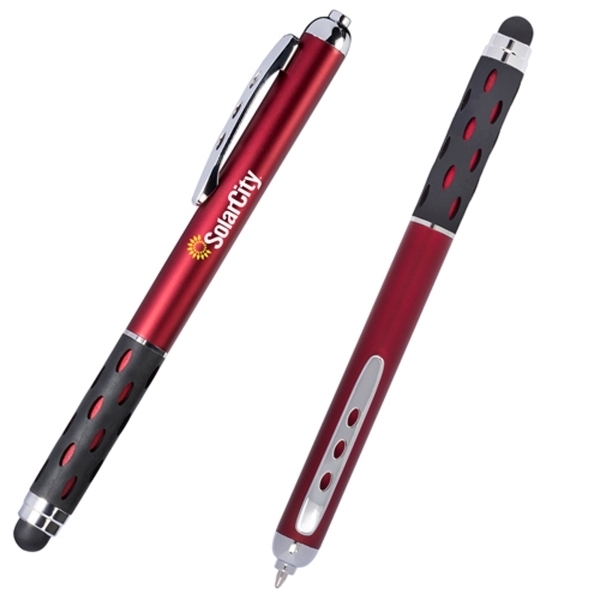 Silicone tip for use with touchscreen devices. 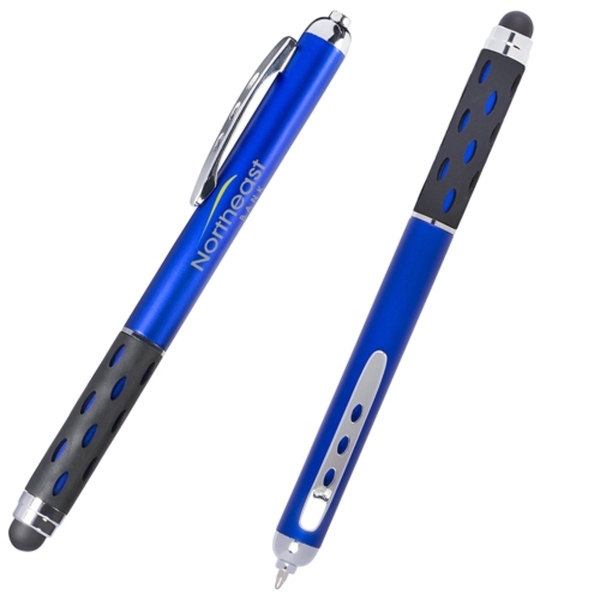 Ergornomic rubber grip and metallic accents.. Save on this custom highlighter with Free Setup, Free Rush Service, Free Artwork and Free Shipping. 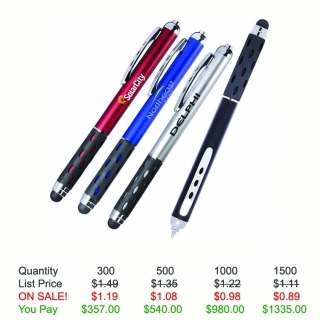 Customize Your Product: Up to 2 lines of text - 35 character per line max. Item Color: Black, Blue, Silver, Red.